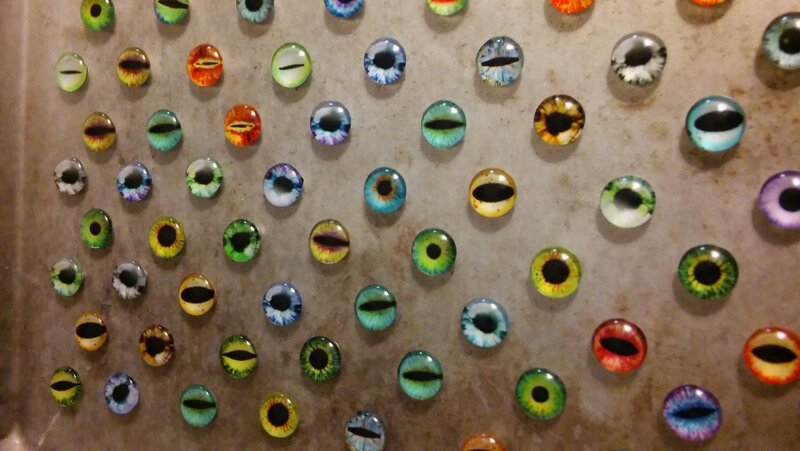 Little glass domes with photo images of eyes glued to the backside. Tiny but mighty neodymium magnets are guaranteed to hold papers to your fridge or file cabinet. Size: 12 mm across (smaller than a dime) and about 6-7 mm tall. You'll choice of 3 matched pairs of eyes or 6 singles. Images are human, animal and fantastical. Let me know your choice during "Note to Seller" at checkout!